We did it!!! 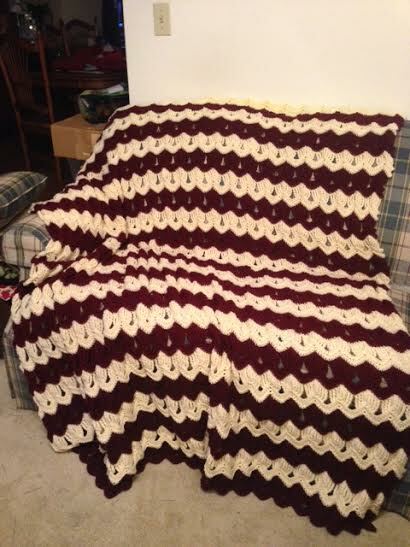 Our 2013 Fall Crochet with Me CAL is done!!!! 11 weeks and a great afghan is now on my sofa… I love it!! 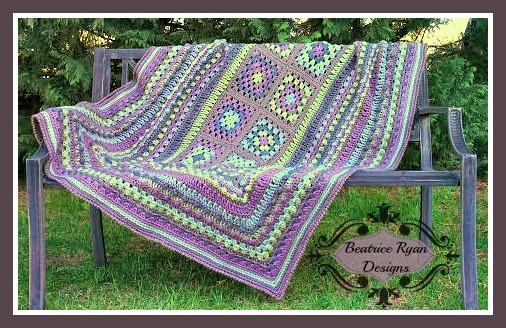 This Vintage Fan Ripple Blanket was a great pattern and will be one of my favorites forever!! 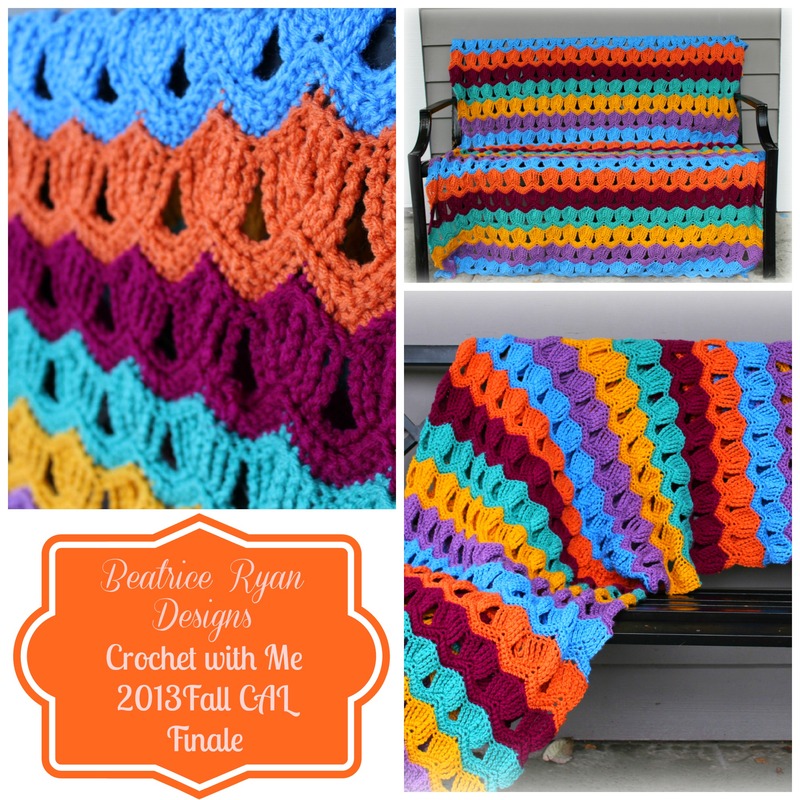 Our next Crochet with Me CAL will start in January… Currently we are voting on the next pattern… If you would like to join in,,, Cast your vote by clicking here!! 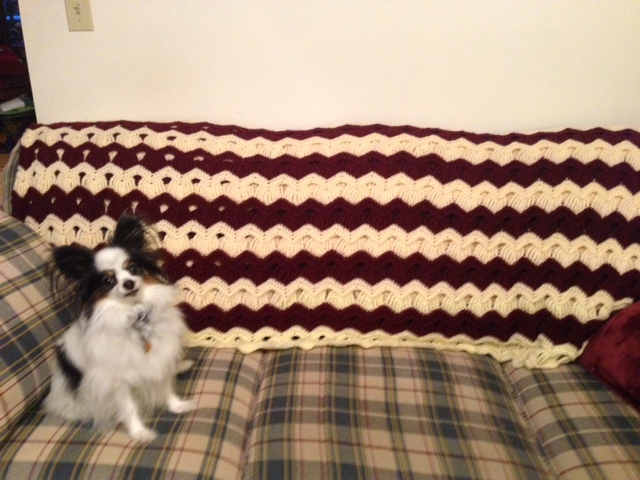 So… Below are my final pictures and one of our friends who also completed her afghan!! 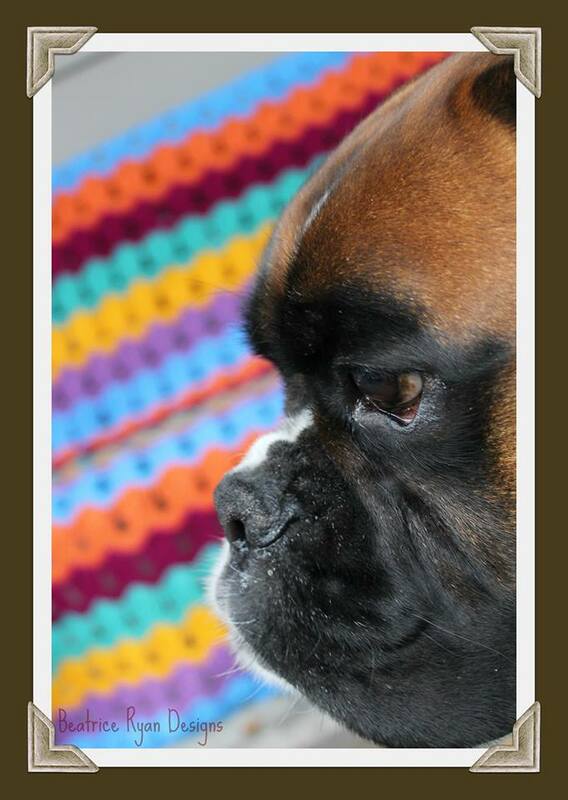 And here is my biggest helper trying to get in the action during the photo shoot…. 2014 Winter CAL,,, Surprise Design… This was fun and I am currently making this pattern into one whole pattern,,, Set to be released soon!! WOW! Now I regret I didnt join with you all. ( Sorry for my bad English). I can’t wait for the nex CWM (Crochet With Me). The next one will be fun!! Glad you are joining in! !